Greetings, I am new to this game and as most of us here i love dragon games,dragon movies, dragons in general , and of course , how to train your dragon. I am already level 12(in game), and i got a few questions sincethe beggining of the game. I apologise if there are multiple threads with a few of these questions in. I simply didn't have the patience to find every single answer. 1. First of all( this is actually a question towards the admins), is the game stable? Will the game keep going on for at least 1-2 years now? 2. Why does my dragon lose so much energy? Sometimes it randomly gains 2-4 energy while i am riding on him but then it loses 2-5. Also while doing my quests, even if i am on him or not. He loses around 5 energy per minute. I have to just keep fishing alot to give him food.Is there something i can do? 3. Were actual dragon eggs discounts/free for a time in the past? 4. Are ways in game to earn gems outside the login rewards/buying them IRL? 5. What do the saddles/masks/totems/etc do? Are they only for style points? 6. If you become a member,or more precisely, if you get toothless, after the membership expires , you still get to keep him? I have the posibility of spending money, this links with #1. 7. Can you actually fight something? What is the point of our HP if even fall damage does not exist? 8. What's the point of all those stats in the description of the dragon? I understand speed helps in Thunder Run Racing. But what about the others? 9. Being in a clan gives direct advantages? Or only a group of friends who compete with each other? (This of course, is not bad). 10. (last but 2 in 1). Is toothless the best dragon for everything? What dragon should i get next(excluding toothless)?I already have a Nightmare. I want something fast/very fast/that is good in thunder run or something else. Thanks in advance, and sorry if gramatical mistakes exist! Welcome to the game/forum! I'll try to answer your questions. 2. I've gotten to the point when I ran out of quests. I just spend my time sitting around on my farm doing offers while waiting for crops to grow. I rarely need to feed my dragon. That being said, the membership comes with a 24 hour fish trap. For 5 bait, you can get 3-6 fish depending on the fish. It's not unusual to bring in 3 eel or 2 perch+2 trout+1 salmon. A better fishing rod is also worth the investment. Also, chicken eggs fill 5 points of energy (equivalent to perch) and can also be used for bait. 3. I think the Rumblehorn was discounted for a little bit. Each character's first dragon is free. Members get 20% off eggs in Johan's store. 4. You can earn gems by watching videos, completing offers, and inviting friends. Open the shop and the "Earn Gems and More" button should be at the top of the window. 5. The gem saddles and some gem clothing increases your dragon's stats. The coin saddles and clothing are just for style. 6. You get to keep Toothless and the membership character when your membership expires. Be aware though, you have to cancel the membership by emailing the company or it will rebill you at the end of the membership and start a new one. 7. I believe HP is useless. You can shoot at people, but it doesn't seem to do anything. Something that drains HP might be implemented later, or it could just be leftover from a repurposed engine. 8. As far as I'm aware, the stats determine how maneuverable the dragon is. Max speed is the fastest possible speed. Acceleration is how fast the dragon can get to max speed. Turn is how tightly it can turn. Pitch is how fast it can dive or rise in elevation. 9. I don't think there is any benefit to being in a clan besides achievements. Just like your character can get achievements for growing corn or completing Flight Club runs, your clan can get achievements too. You don't seem to get rewards for it like you would with your own achievements, but it's something to work towards and feel accomplished over. I believe there is also some inter-clan competition; that might be forum-based for all I know though. 10. I personally think Toothless is hard to control in Flight Club. I prefer Stormfly and Stokehead for that. I've seen people say that that any dragon can win at Thunderrun Racing, which makes sense and is fair. I'm guessing good equips and a lot of experience in the tracks help. 1. I think that depends on the players, as long as there are people playing the game then the admins will keep the game running. 2. That sounds like a bug. Dragons don't lose energy if you are just flying around, they slowly gain energy if you just fly around. Collecting items, chopping wood, Fireball Frenzy, Flight Club (if you use your dragon), Thunder Run racing all take up energy. Maybe clear your unity cache? I think I had that problem once where my dragon kept losing energy but clearing the cache worked. 3. They often have a sale, usually after a new dragon release. I'm not sure if they were ever free though. 4. You can invite your friends, do offers, watch videos. I suggest inviting your friends since you get 50 gems per invite and the offers/videos don't always work. You can do that by going to the store and clicking Earn Gems and More at the top. 5. The saddles (wild/sleek ones) supposedly increase your dragon's speed but I haven't noticed any real difference. The masks affects your dragon's happiness and I'm not sure what the totems do. 6. You can keep Toothless (and the free stable, free viking slot and flight suit) after your membership ends. You just lose the discount + fish trap after membership. 7. Player HP is useless at the moment. 8. The other stats are pitch rate (how fast your dragon dives or goes up), turn rate (how fast your dragon turns) and acceleration (how fast your dragon can get to max speed). 9. You can earn trophies for your clan and compete with other clans. 10. 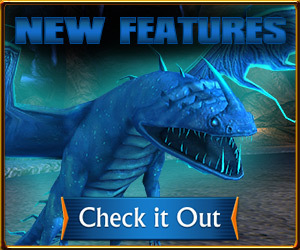 I would suggest getting a Skrill since they seem to be the next fastest dragon in thunder run. Hobblegrunts are also pretty fast and they are only available for one more week so you might want to get a Hobblegrunt. 3: here was a huge egg sale not too long ago. Usually when a new dragon is released its egg is on sale for three days too. 4: The other person did well answering this. Find it in the store. Watch vids, complete offers, and invite friends. 7: No. The HP bar is currently not in use, but rumor has it there will be a new feature that uses it. HOWEVER: The stats are horribly innacurate on EVEY dragon. Don't look at stats when choosing. 9: Clans don't have direct advantages, but you can compete in the less common "Clash of Clans" tournaments for exclusive prizes that the rest of SoD can not get. 10: Toothless doesn't have the fastest Acceleration, but his raw speed makes it really unfair for other riders. I advise against Toothless because he is too powerful. Its not fun for other riders. Zippleback - Not a beginner's dragon, his turns are horrible so it takes some getting used to, but when you do the Zip is one of the fastest by far. He is my personal favorite after using almost all of the dragons. My Zip has earned me at least 2500 trophies by now. Thunderdrum - Good all around. Excellent dragon for all levels of riders. Not quite as fast as Zip, but much better handling. I love this dragon, and he isn't too pricey. Most dragons are pretty balanced. The Nightmare isn't the best, but someone in my clan has over 4600 trophies from just racing a Nightmare. Practice and any dragon can win. Its more experience than having the most expensive dragon. 1. The game has been running for over a year now. That's all I can say. 2. Dragons lose energy from playing, doing quests... If a dragon picks up something (something you need for a quest) it will lose some energy. The older your dragon is (baby, teen, adult) the less energy it will lose. Playing Thunder Run/Fireball Frenzy also makes your dragon tired. 3. Dragon eggs are usually cheaper when a new dragon is added. The hobblegrunt is limited, that's why the egg was never cheaper. I think the eggs are usally 34% off. 4. Inviting fireds, doing offers, watching videos. Just click the Free Gems Button in the store. 5. Basic saddles (for coins) don't do anything. Advanced and Sleek saddles increase your dragon's speed, which helps you out in Thunder Run. Some clothes help out in Thunder Run. Some masks help your dragon's happiness decrease slower. Totems are just farm decorations. 7. So far the bar has no use. If a person shoots you in Thunder Run you lose some health. 8. All the stats help in Thunder Run racing. The stats are somewhat incorrect, so it's best if you don't take them for granted. Acceleration - How fast a dragon can reach max speed. Check The Barracks of Valhalla for more info. 10. In my opinion Nightmares aren't the best racing dragon. They're awful at turns and not the fastest. You can still win with the Nightmare tho. Skrill - Great speed. Fastest dragon after Toothless. You can't make the sharpest of turns, but it's still a great racing dragon. Thunderdrum - Fast and good at turns. I'd say the Thunderdrum is a perfect balance of everything. Not as fast as a Skrill tho. Nadder - Slow dragons, but amazing at turns. I love using my nadders in a race. Their flying is very smooth, their speed however isn't the best. With a sleek saddle it can catch up to a Skrill. Any dragon can win the race, but if you're looking for the fastest dragon after Toothless, I'd say it's a Skrill. Thanks for all the answers in such a short amount of time! It's nice to see the game from multiple players perspective. From what i understand the Nightmare is kinda the worst for flying , but i was going to buy a skryll anyway. #1 is still open, as i like playing with dragons and stuff, i don't wanna invest in membership if the game won't live enough. I think i will wait a bit until i play more. If i will become a member i'll just buy the skryll with the gems from there,and also have Toothless. You only get to use Toothless while you have membership,after you lose membership Toothless Is locked & you can't use Him,but Him keeps the Level. My Toothless was grandfathered In,so I can still use Him,they don't have the grandfather clause now,He glitched a few times so I have 5 extra,6 total.He will take up a stable space.Now as long as you keep at least a 3 month membership you will always be able to use Toothless.